Pablo Tac (1822-1841) was Luiseño Indian. He was born and raised at Mission San Luis Rey de Francia, located in present-day Oceanside, California. At the age of ten, he left the Mission with Father Peyrí, O.F.M., and another young neophyte boy, Agapito Amamix. Their destination was Rome. On September 23, 1834, Pablo and Agapito enrolled at the Urban College. There they learned how to be missionary priests, hoping to one day return home to California to shepherd their Luiseño brothers and sisters in Christ. Following in the footsteps of Saint Junípero Serra, whose motto was “Move forward and never turn back” (¡Siempre adelante y nunca para atrás! ), the young Pablo Tac never gave up. "Meet Pablo Tac" is a story of faith, courage in the face of adversity, and the universality of the Catholic Church. 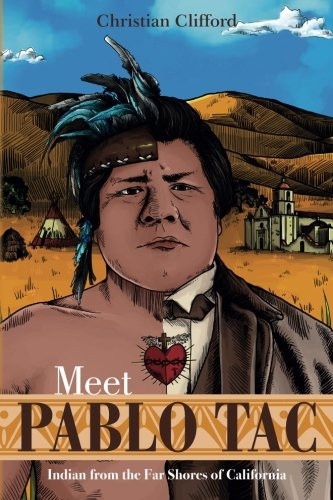 Come and meet Pablo Tac.